Former President Goodluck Jonathan has disputed reports that he had opted to go on exile in Cote d’Ivoire, confirming, however, that he was indeed in the West African country, but was not in exile. According to ThisDay, the former president confirmed on the phone that he had been out of the country for over a month, revealing that he travelled to some cities in the United States of America, then departed the country for London before arriving Cote d’Ivoire via Paris. He maintained however that he was not in exile because he had no reason to leave Nigeria as he had done his best for his country as president. 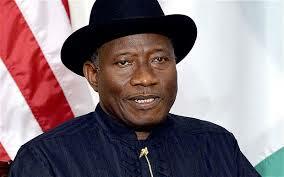 “I have made sacrifices for Nigeria. I am praised all over Africa for averting bloodshed and for the peaceful transition from one government to another, but it seems Nigeria does not appreciate my efforts. “I have done my best for this country and if I have to die for it, I will do so. However, I am taking it easy here (Cote d’Ivoire) and when I am ready, I will come back,” he said. It was earlier reported that Jonathan had gone into exile following the resolve by the federal government to arrest him on allegations of corruption. The perception that the government was going to reel him in was linked to the heightened attacks on oil and gas installations in the Niger Delta.